With Application WiFi Dumpper you’ll can connect to WiFi networks which have WPS protocol enabled. 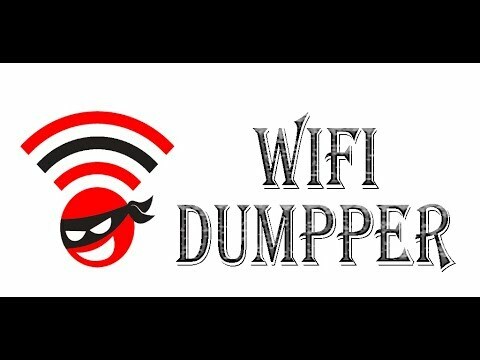 Hacking anything is forbidden in all religions – I AM NOT RESPONSIBLE FOR ANY MISUSE, INTRUSION INTO FOREIGN NETWORKS IS PUNISHABLE BY LAW.WiFi Dumpper is focused on verifying if your router is vulnerable to a default PIN. Many routers that companies install own vulnerabilities in this aspect. With this application you can check if your router is vulnerable or not and act accordingly.WPS: http://es.wikipedia.org/wiki/Wi-Fi_Protected_SetupHow it works?The application has two methods to connect:- Root Method : Supported all android version but should be rooted.- No Root Method : supports only Android 5 (Lollipop) and up.For Android 5 (Lollipop) and up:- If you are not rooted you can use the application to connect, but you cannot show password unless you are rooted.- If you are rooted will be alerted to choose either Root Method or No Root Method. , you can show the password using both methodsFor Android 4.4 and earlier:- You have to be ROOTED for both connecting and showing password- If Your are not Rooted , then you cannot use the applicationFor pin connection you need to be ROOT user in less than Android 5.0 (Lollipop) versions. The advantage of being ROOT is that you can show network password if the pin connection is successful we will, otherwise you will connect to the network but cannot show it. Each feature will be enabled or disabled depending on the situation of each terminal.if you already know the WPS PIN you can use the app to connect and get the password using your PIN=============================*** Location Permission is required for Wifi Network Scanning By Android***=============================NOTICE: Not all networks are vulnerable and that the network appears as such does not guarantee 100% that it is, several companies have updated firmware of their routers to correct the fault.TRY IT ON YOUR NETWORK AND IF YOU ARE VULNERABLE… REMEDY IT. Turn off WPS and change password for a strong and personalized.–> those with a green tick are most likely vulnerable, have the WPS protocol enabled and the connection pin is known. It may also be that the router has WPS disabled, but the password is known, in this case it also appears in green and can be connected to the key.=============================Some Samsung models use encryption and do not show real passwords, they show a long series of hexadecimal digits.– Please understand how the application works before giving an assessment.WARNING: Beware of copies of this app detected on Google Play, they can be dangerous.Send any proposal, failure or comment to ibrahim.ps1995@gmail.com, thanks.